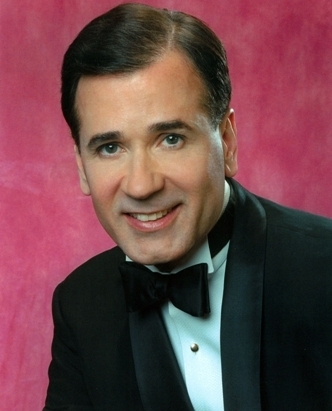 Triple threat Lee Roy Reams will be performing a song from 42nd Street in this year's S.T.A.G.E. benefit entitled Original Cast 2 at the Luckman Theatre on Saturday April 2. 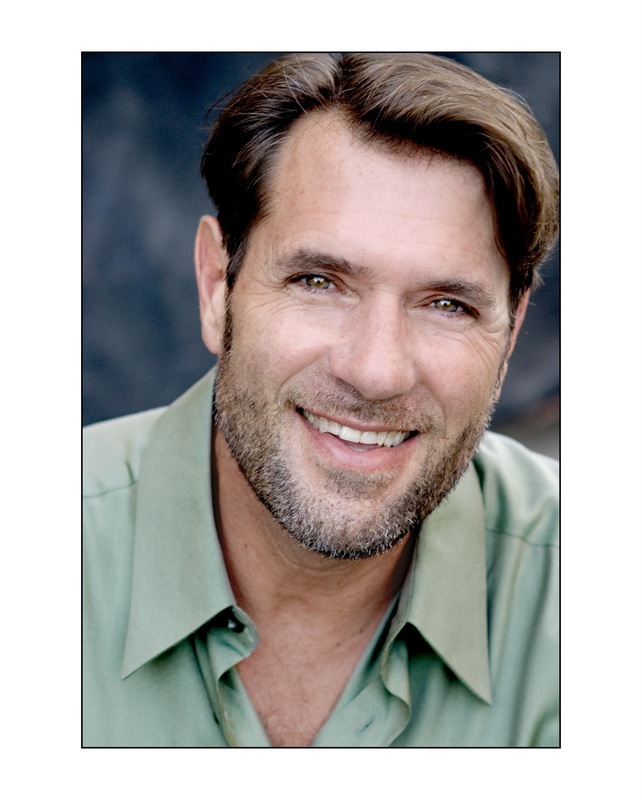 He has been in the original cast of Lorelei and in more productions of Hello Dolly! and 42nd Street than he can remember. 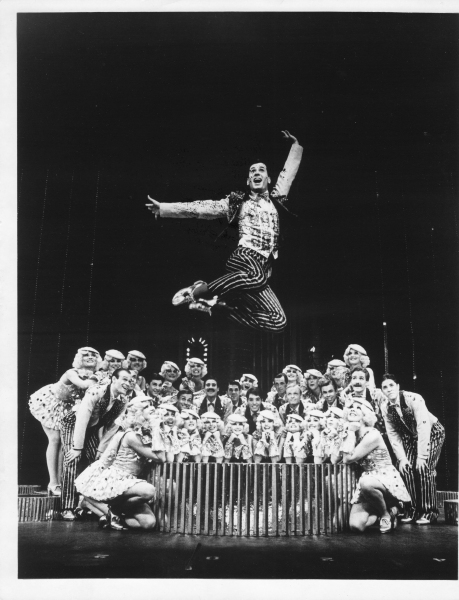 In our recent phone chat he reminisced about the shows and the people he's worked with, including late greats Ruby Keeler & Juliet Prowse and legendary Carol Channing and Jerry Herman. Is this your first S.T.A.G.E. benefit? I think for this organization, yes. I've done other events with David Galligan before. We're old, old friends. You'll be performing something from 42nd Street. Is that your favorite show? I don't really have one. They're like children. Each one has a special little something. 42nd. Street was certainly the longest run, and certainly the one that brought me the most attention. But I really enjoyed doing La Cage Aux Folles. It artistically fulfilled me because I got to do everything in it. They all have special little things. I love Hello Dolly too. I saw you do the Hello Dolly revival. God bless you! That was in '78! 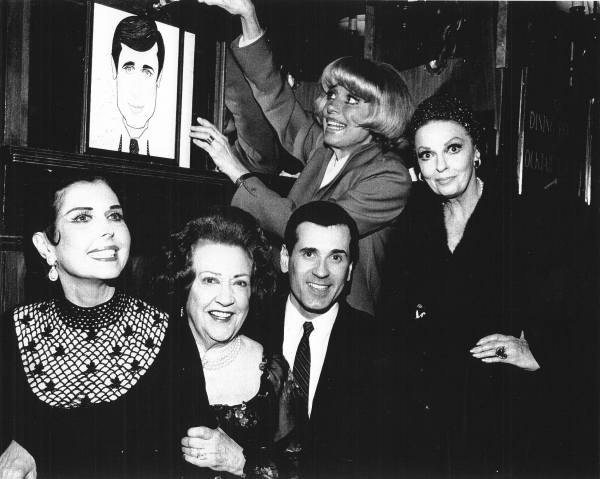 Then I directed Carol's (Channing) last revival in '94. I'm going to mention a show or a person and say the first thing that comes to mind. Too many things come to mind. Mine doesn't work on one path. Then mention a few significant things. With Lorelei, I think of the great friendship I had with Dody Goodman. And...it was my first contact with Carol Channing. And it was because of Carol Channing that I met Jerry Herman. When I graduated from high school in Covington, Kentucky years ago, on prom night we saved our money and went to the Beverly Hills Country Club, because that was the thing to do. They had a big night club there where Sophie Tucker and all the big stars used to play. Carol Channing was the attraction, the headliner that night and did "Diamonds Are a Girl's Best Friend". And she tossed out these wonderful rhinestone bracelets with her name copied on the clasp. Of course, I jumped up, ran all over and grabbed two of them. I saved them. On the first day of rehearsal for Lorelei, I brought the bracelet in and said, "Miss Channing, I caught this from you at the Beverly Hills Country Club." Well, that was it, and we had a big picture made where I'm holding up the bracelet and she's pointing to it. And that's how we became friends. Years later, she called me on the phone and said, (with his best Carol Channing voice) "This is Carol, and I'm going to do a revival of Hello Dolly and I want you to play Cornelius Hackel. 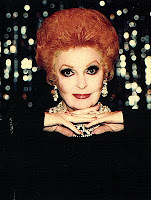 Jerry Herman doesn't know you, but don't worry, darling, you've got the job." 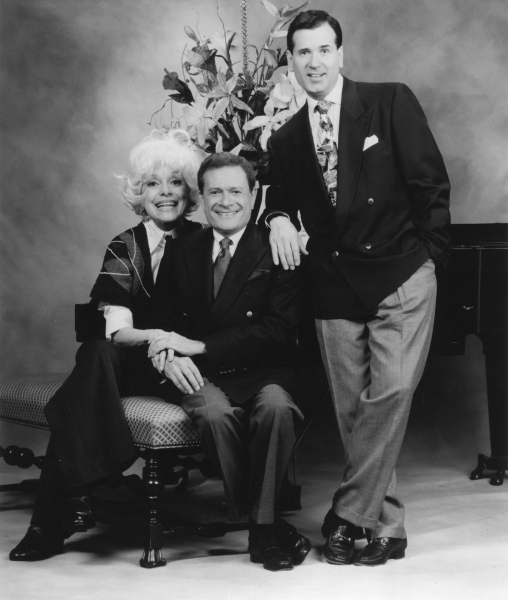 Thus my contact with Dolly and many years with Jerry Herman happened as a result of that. She just was a fabulous person and she and I toured for a year in Lorelei, she played my mother, and we became very close. When we came into New York our friendship endured through the years. In one of her travels to New York, she'd come to stay with my friend Bob and I. Then she decided to move next door, to the apartment building that was built next to our house. She liked being with us so much, she moved back to New York. She was one of the funniest and most delightful people in my life. I loved her with all my heart up to the end. My partner Bob and I had microphones set up in the living room and a player piano. When she'd come to visit, we used to interview each other. Bob would pump the piano, we'd have an opening number and we'd sit and talk to each other with the microphones. People across the way probably looked into my living room and thought "What are those people doing over there? They're crazy!" We'd talk and laugh and tell funny stories and laugh 'til we would cry. 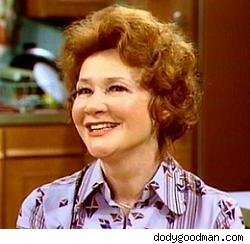 I could do an entire evening on Dody Goodman. I didn't get the role. I auditioned and it was intimated that I had it. The agent called and said that they were waiting for the offer. I thought I had it, but I didn't. On New Years Eve I was very depressed and the next day the phone call came; they fired Garrett Lewis and wanted me to come in. The show was in run-throughs. I had a lot of time to catch up. But the wonderful thing about that show was my friendship with Lauren Bacall. I know the first day of rehearsal when I came in, I had to do catch up and I said "I should at least fluff Miss Bacall's hair because then they'll know why I'm in the scene. I have to have a line for the end of the scene." And I said "Miss Bacall, I promise I won't mess up your hair." And she said, "My friends call me Betty." That was it; I can't explain it to you. It's as if I had known her in a former life. We really became close that very moment and remained so during the years. into that little intimate group. To see what Gwen Verdon did on stage was just incredible. Truly one of the great artists of the theatre. I'm such a fan. It was fun to have that entree with Mel Brooks. When I saw the show and told Mel he would sweep the Tony Awards, he responded, "What part do you want to play?" I was in the first national tour. Lewis Stadlen who played Max on the tour...we'd known each other decades, but had never worked together, and with him I found another best friend. I think that's so important: that you always take friends with you from each show. My first audition, my first job in New York...she chose me to be in her act and took me with her as her dancer and when she did Irma La Douce, I was hired. I loved her; she was one of the greats. She always hired me and kept me working. 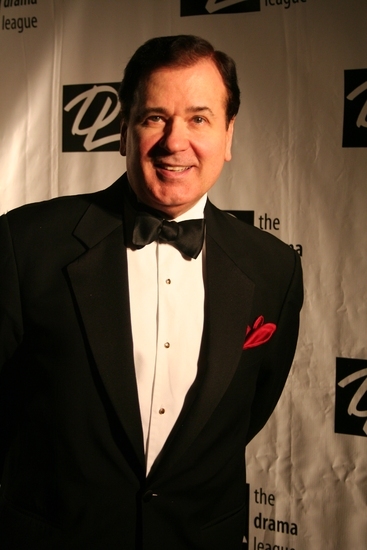 First day of rehearsal for 42nd Street, Carole came up to me and said "You must be Lee Roy Reams." 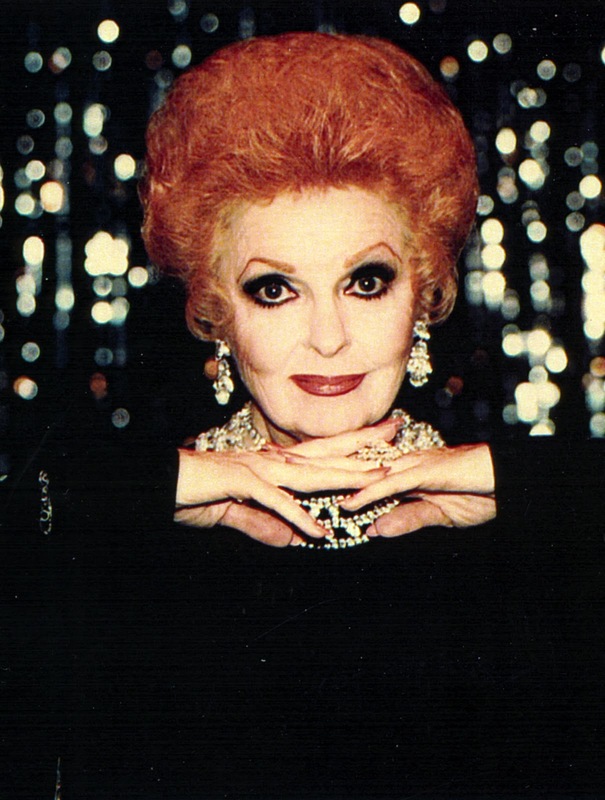 And I said "You must be Carole Cook." He had so many mutual friends but had never met. Again, I had known her in a former life. We became twins that day and I've laughed decades away with her. Whenever I come to California, she's the first person I run to see. There's never a moment of silence when she's around. Jerry Herman said that one time when they did a salute to the Gershwins, she came out, took center stage and started to sing "Let the drums roll out..." and this big bass drum rolled across the stage in front of her. He said it was one of the funniest things he'd ever seen...her expression as she watched the drum roll off. Oh, God, dear Ruby Keeler. 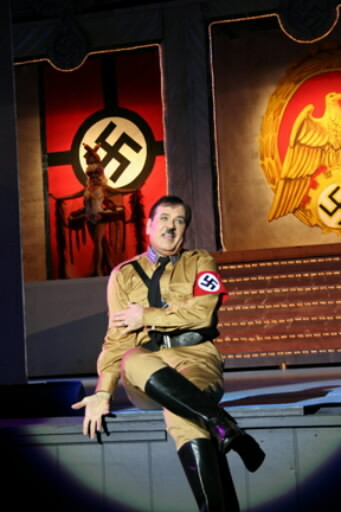 When I did my audition for 42nd. Street, I looked into the balcony when I sang "I only have eyes for you." I did. I looked up and pretended I was looking into the face of Ruby Keeler. I loved all those Warner Brothers films. When she came to see the show, days after it had opened, I told her the story, and she said "Well, sing it to me now!" I sang it to her backstage and we became friends. One time when we were out, she told me she no longer owned a pair of tap shoes. Because of her stroke, she had given all her shoes away to charity. So I called Capezio and had a pair of her shoes made. We had a good cry over that one. A wonderfully warm, lovely human being! My friendship with Jerry happened during that first revival of Hello Dolly and he said he had written songs for women and had most of his successes writing for women. I told him "That's not true. I sing your songs all the time. Men can relate to your songs, and I'll prove it to you." I did a whole evening of nothing but Jerry Herman and that's when we started our collaboration doing versions of that show all over the place. Jerry and I are entertwined all the time. He's my favorite composer/lyricist. I'm in awe and sometimes when we were doing a show, I'd step back and say "My God, that's Jerry Herman playing for me." I've never gotten over being star struck. When they turn out to be everything you want them to be, that makes it better. Any of the new crop of musicals that strike your fancy? I haven't had a chance to do any of those shows. Unfortunately, there haven't been parts for me. I loved The Light in the Piazza. I also loved Jersey Boys. It was a beautiful concept, and even though I grew up during that period, I had never related to those songs because I was always listening to Ella Fitzgerald and music like that. I never listened to that genre and Elvis Presley and all that stuff. It just wasn't my taste. But I thought that show (Jersey Boys) really captured a good story plot and the songs fit. Really a great show! I also thought Billy Elliott was a well done show. Not that it was my musical taste either, but I enjoyed Bloody Bloody Andrew Jackson when I saw it. I didn't think I would. Mostly events now. But people thought I had given up performing when I was directing shows. I like to do it all, but it seemed like people were getting confused. I like to perform; it's just something that's in my soul. So I have to get up and get in the spotlight. Thank goodness for our sake that he does. Catch Lee Roy Reams perhaps doing "Lullaby of Broadway" or some other song to be determined from 42nd. 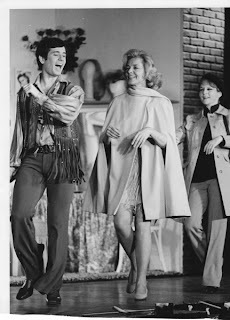 Street... and many, many other great singers/dancers like Carol Channing, Rita Moreno, Sean McDermott, Dale Kristien, etc on April 2 in Original Cast 2 for S.T.A.G.E @ the Luckman Theatre. Actor/singer Jim J. Bullock, best remembered for the role of Monroe in the 80s sitcom Too Close for Comfort will be appearing @ Sterling's Upstairs @ Vitello's Saturday March 5 with his all new cabaret act. Jim has had a varied career in television over the last twenty-five years, also making regular appearances on Hollywood Squares and doing a talk show with Tammy Faye Bakker. 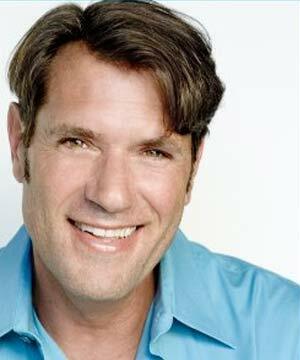 He has always gone back to his theatre roots and recently did the Broadway and cross country tour of Hairspray. In our chat he talks about what inspired him to do the club act at this point in time and his overall love of the theatre. His great off-the-wall sense of humor is still in tact, as he had me laughing throughout. Tell me what inspired you to do a nightclub act at this point in time. My relationship with show business started in the church when I was a teenager, and I sang and I was a church soloist. I actually was pretty good at it, and I was going to become an evangelistic singer. But in college I got bit by the theatre bug, and I came to Hollywood. So my past made a turn and I came out here.I started off showcasing with Skippy Lowe. I watch American Idol and I go, "That would have been me, and I would have not been accepted!" ...Then an agent saw me in a production of Godspell and she said, "You need to do stand-up if you want a series". She was right; I did stand-up, and I got a series. My journey that was music stopped, and even though I would sing when I got the chance, there was a giant veer. Over the years I've sung, done musicals; I did Hairspray, and so I've sort of come back around to that. What really catapulted me into doing this, to get to your original question...three years ago I started studying, taking class with Carole D'Andrea...singing class and acting class and I discovered a singer in me that I never knew how to get out. I learned to find my way to that person and started exercising it, and then, a little over a year ago, a friend approached me and said "You need to do an act!" I said "Yeah, I do need to do an act, but how?" 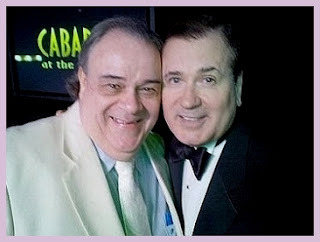 That was Michael Lorre who has since become my musical director. I premiered it last June at my little gay church in WeHo, and we've been doing it here and there, and now we'll be @ Sterling's on the 5th and then Blame It On Midnight in Palm Springs the 19th and 20th of March. You're doing a combo of stand-up and singing, right? Oh no, honey, there ain't no stand-up here! Stand-up was horrifying and something I didn't care for. It got me from point A to point B, but this is...I'm finding my footing each time I do it. The title of my show is Different. It has many different meanings. One of the things it means is that I'm really different from what people expect to see. They're going to come, expecting to see whacky, zany and they're going to get kind of a mature actor who is a good actor and a good singer. I don't care what it sounds like, but I am good! When I started putting the show together, it was heavy; I dropped my humor and I have to put that back. So, I've been adding comedy songs -which are really hard to find, good comedy songs anyway. Each time I do it I'm finding the balance and getting it better, more comfortable... all that good stuff! Great! I'm looking forward to seeing it! I see that you have a recurring role on The Bold and the Beautiful. What's up with that? "B & B called. They want to have you come back." I went back and did 12 episodes. They haven't killed me, but they haven't had me back since then. It may be another five years, but at this stage of the game, it's gay and I'm gay, and I'm happy to have the work. I'm a wedding planner, and it sort of sets the movement back, but you got to get the work when you can get it. I'm fixing to start a web series called Old Dogs and New Tricks. I've never done one and I think it's very clever about guys around 50. And you never know where that stuff may lead... Justin Bieber!! You did Wilbur in Hairspray in New York and on the road for a long time. 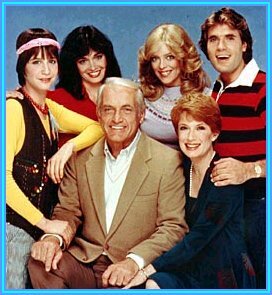 You also a few years ago played Peanut in a favorite play of mine Del Shores' Southern Baptist Sissies. How did they get you to do that, as physically you're so different from Leslie Jordan, the original Peanut? When Del Shores asked me to guest star and do it, I said "Are you crazy? I'm a good-looking man." This was 10 years ago, and I had a really nice physique, I was cut and looked really, really good. I had worked on my body and I said "I don't know how this could work!" Del said "Leave that to me!" He said he was going to make it like someone whose vanity is in their hair. They got me a really bad wig, because a lot of bald men...their self-image goes right down the drain if they don't have hair, and that was my niche, what hooked me in to the character. I made a valiant effort, I did my best with it, but I'm not right for it and I shouldn't have been cast in it. I'm sure you were great. I wish I had seen you do it. I did love you in When Pegs Fly and you sang in that! Funny you should mention that because half of my show Different is from When Pegs Fly. I loved those great torch songs to Rush Limbaugh and Strom Thurmond. I called Mark Waldrop who wrote it and he was thrilled and said he would love to write me new lyrics to replace Strom (Thurmond), who died. Terrific! What's the favorite show you've done? I finally got to do A Tuna Christmas two years ago in Kansas City, Missouri. I fell in love with that show the first time I saw it and always wanted to do it. I played 18 characters. I'm from Texas; those people are my family. It came from such an honest place in me. What a challenge that is to do! I would love to be in an original Broadway cast. Start something in workshop, form it and create it, be on the cast recording, get to have that initial run on Broadway. Everyone who does that part for years and years and years after me will go, "Well this is how it was originally done with Jim J. Bullock!" The following interview with the great lady, Betty Garrett, who we miss already - passed away on Saturday, Feb 12 - was printed in NoHo LA in the January 18-31, 2005 edition. 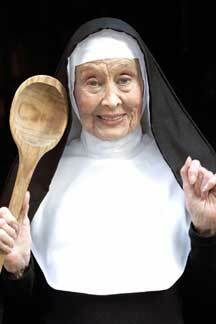 We did it prior to the opening of Nunsense @ Theatre West. Right after my interview with singer/comic actress Betty Garrett, I had a delightful surprise. I turned on TCM (Turner Classic Movies) and came in on a screening of the 1948 film Big City with Margaret O'Brien. Lo and behold playing nightclub chanteuse Shushu appeared the very beautiful Garrett singing up a storm with "OK'l Baby Dok'l" by James Miller. Garrett, beloved from film, TV (All in the Family and Laverne & Shirley), and Broadway (most recently in a revival of Stephen Sondheim's Follies) teaches a weekly musical comedy workshop at Theatre West and is about to sing and kick up her heels live onstage in Nunsense, opening there January 20. She finally has a star on the Hollywood Walk of Fame and is a recent recipient of the Cinecon Award, the Professional Dancers Society Award and the Ovation Award for Lifetime Achievement. Any special reason for mounting Nunsense at this time? Well actually, Lee Meriwether kind of put it together. She was out on the road in it for ten months and became friendly with the writer/director Dan Goggin. Before she went, she enlisted a group of actors at Theatre West to help her learn the show and workshop it. On the road, she expressed the wish to Dan of doing the show at Theatre West so that all the people that worked so hard could perform it. His response was "Why not?" He gave her the rights to it and not only that, he generously agreed to come here to direct. Do you prefer musical comedy to drama? I love any kind of theatre, as long as it's good. But, somehow when I started out, I was doing things where I had to learn to sing, and musical comedy seemed to be where I was the most successful. As a matter of fact, my next project is going to be working on a revue of all the songs that I've written over the years. * I discovered in my trunk about 50 different popular songs. I've been doling the songs out to people in my musical comedy workshop to try them out and see how they work. What advice do you give young actors? Get yourself hooked up with some group where you can work all the time, because it's a waste of time to sit around waiting for your agent to call you. * This became Betty Garrett Closet Songwriter, performed at Theatre West in November, 2007. Betty Garrett worked hard and always delivered. What a gal; what a performer! Your passion for the theatre should never die, even in moments that are, as we say, less than favorable to you. Garrett is certainly living proof, as she worked at Theatre West and attended theatre around town and the country right up until shortly before her death this year. Young actors can learn a lot from her tireless dedication and lifelong service to the arts. She will be sorely missed!